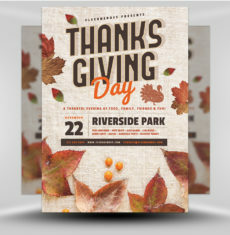 Thanksgiving is heavily celebrated throughout the USA and Canada. 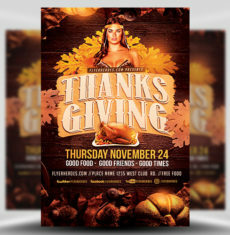 Along with giving thanks and celebrating the holiday with family, as with any national holiday – it’s a great excuse for a night out. 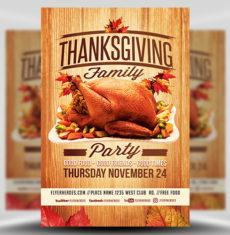 Many local bars, clubs and eateries provide Thanksgiving parties. 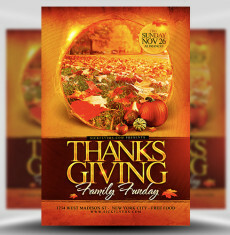 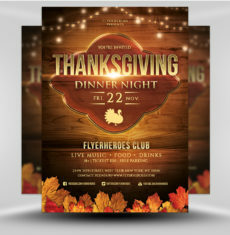 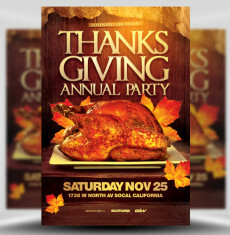 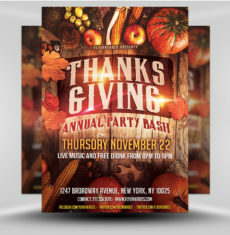 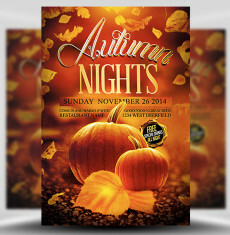 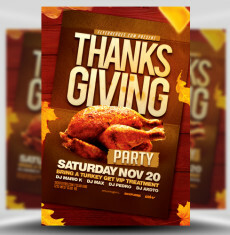 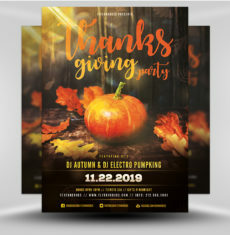 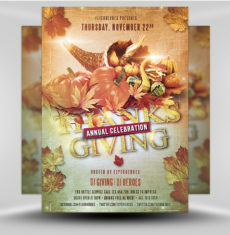 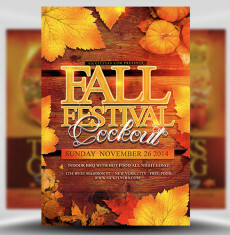 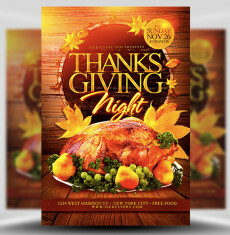 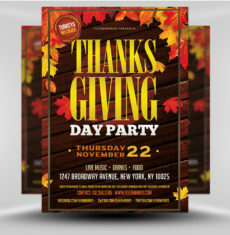 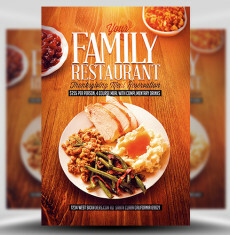 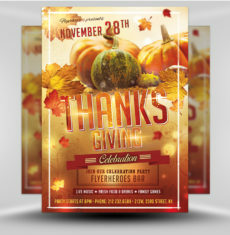 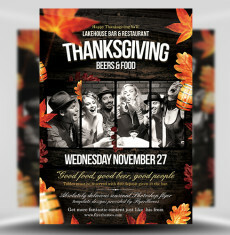 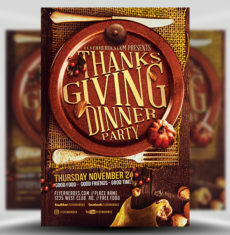 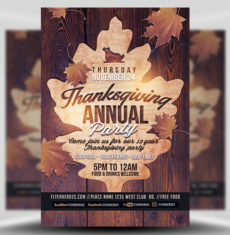 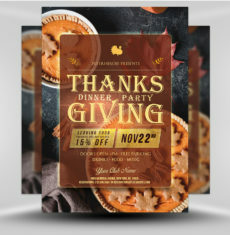 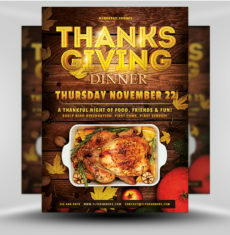 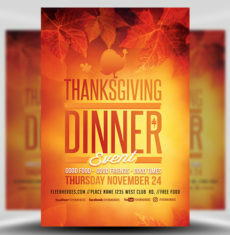 Our selection of Photoshop PSD Thanksgiving flyers are the perfect way to advertise your Thanksgiving events.